Datum Electronics has developed a new range of contactless water-proof replacements for slip ring applications, DX 8600 Universal Wireless Data Link. The DX 8600 Series Data Link has been specifically designed for simple data & power transmission from any rotating shaft to a static location. 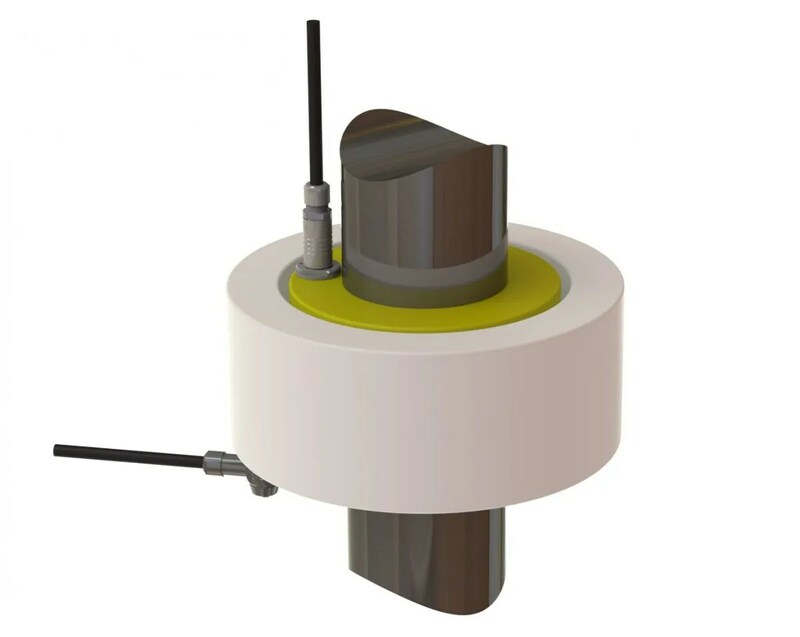 The Data Link utilises an inductive coupling to provide power to the rotary transmitter, which then sends serial data back to the stator module. Datum Electronics have supplied rotary couplings that are used in all manner of test rigs, drive lines, ships, mixers, pump monitoring and numerous similar applications. The latest DX Series has been designed as a wireless alternative to slip rings, suitable for retrofitting to existing machinery and drive lines, providing a greater range of signal and power to shaft options.